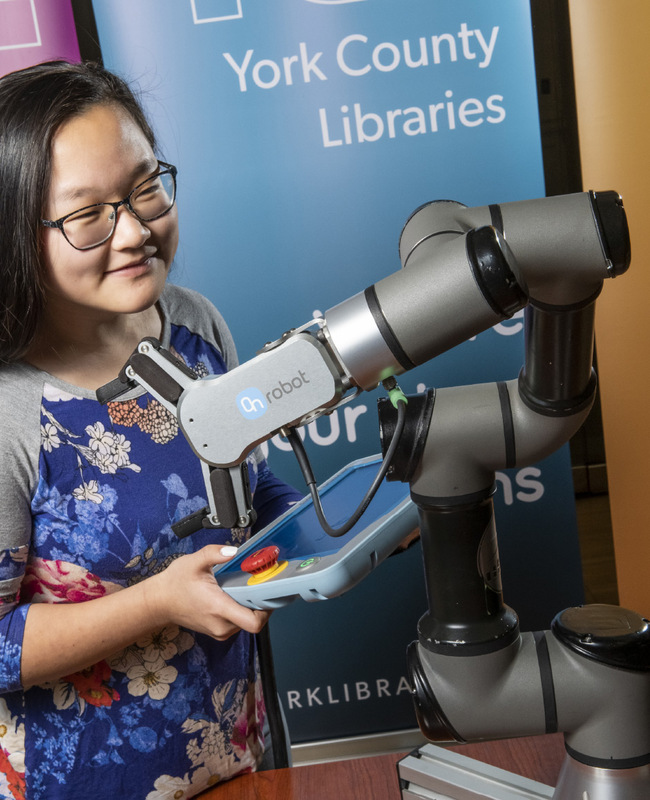 York County Libraries (YCL) has always served as a leader in promoting access to technology in the York County community. 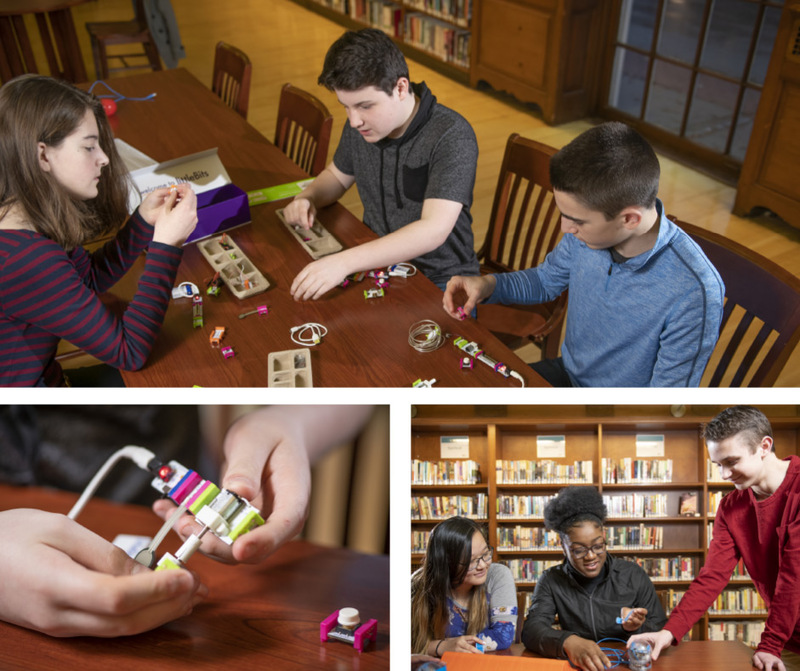 Today, the organization has created a bold vision for making spaces where connected learning can happen for library users of all ages. YCL is launching a $10 million capital campaign to create connected learning spaces at the Kaltreider-Benfer Library in Red Lion, Kreutz Creek Library in Hellam and Martin Library in York. 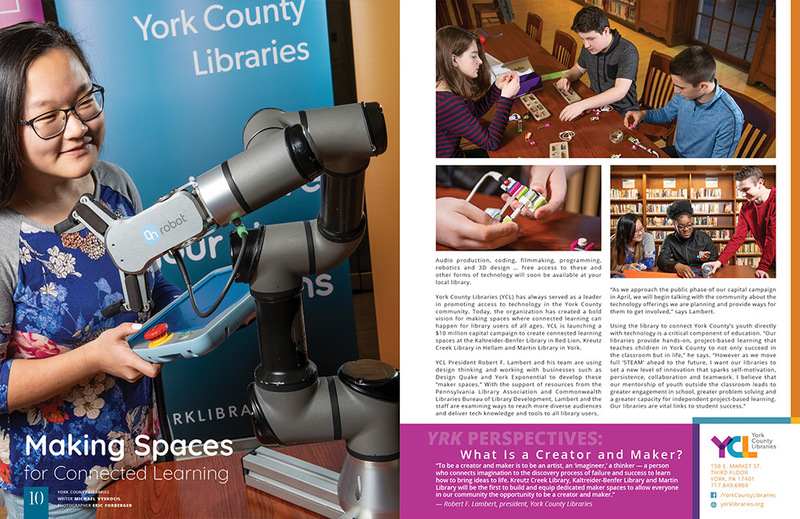 YCL President Robert F. Lambert and his team are using design thinking and working with businesses such as Design Quake and York Exponential to develop these “maker spaces.” With the support of resources from the Pennsylvania Library Association and Commonwealth Libraries Bureau of Library Development, Lambert and the staff are examining ways to reach more diverse audiences and deliver tech knowledge and tools to all library users. “As we approach the public phase of our capital campaign in April, we will begin talking with the community about the technology offerings we are planning and provide ways for them to get involved,” says Lambert.